Breeding your hamster is not a decision to make without careful consideration, and you absolutely must know what you will do with any babies that result. Most pet stores have established suppliers already, and there is no shortage of available hamsters. You should also consider the temperament and health of the hamsters you are breeding; even the most friendly and well-trained dwarf Russian hamsters can get a bit testy when they're ready to nest. 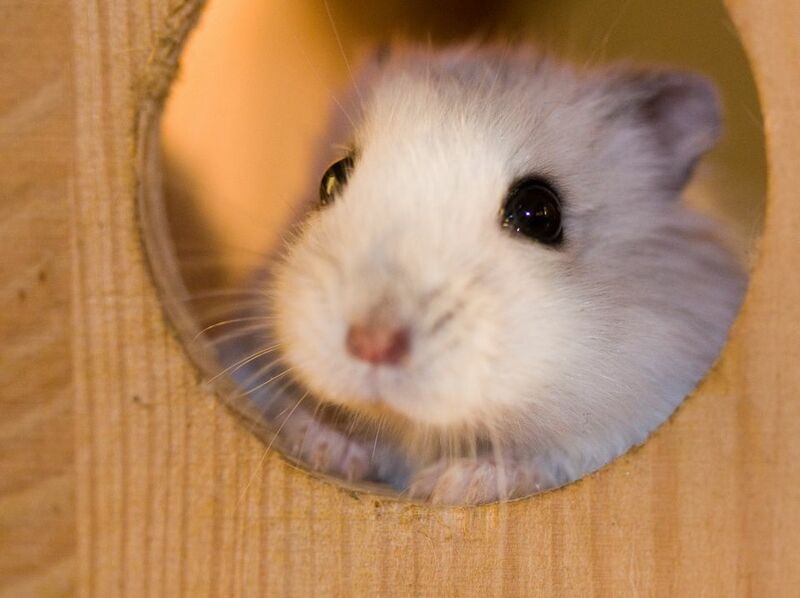 Dwarf Russian hamsters may reach sexual maturity as early as 4 to 5 weeks of age. However, females should not be bred for the first time until they are 3 to 4 months old. Males, on the other hand, can be bred by the time they are 3 or 4 weeks old. That is one important reason to separate your new arrivals by gender as soon as they are weaned, usually when the pups are 18 to 21 days old. Female hamsters come into estrus, or heat, every four days or so. This is the time they will be fertile and receptive to a male. Within 24 hours of giving birth, a female can become pregnant again. The gestation period of dwarf Russian hamsters is 18 to 21 days., although this can vary depending on the breed of your hamster. It's hard to be specific unless you actually see the hamsters in the act. Often the mother-to-be will provide few physical signs that she is pregnant. She might be a bit wider at the sides of her stomach and her back, but you might not even notice. More likely, you will see her behavioral changes; drinking more water, hoarding food, and doing a bit of rearranging to her cage. If you're sure your dwarf Russian hamster is pregnant, you want to give her cage a good cleaning a day or two before her due date. That's because you don't want to disturb her babies for the first two weeks of their lives. A new mother hamster is likely to kill or eat her young if she detects a different scent on the babies. Litter size is quite variable, but typically there are around six pups per litter, although larger litters have been reported. The pups are born hairless and blind. They should have all their fur within two weeks, but won't open their eyes until they're almost ready to be on their own.